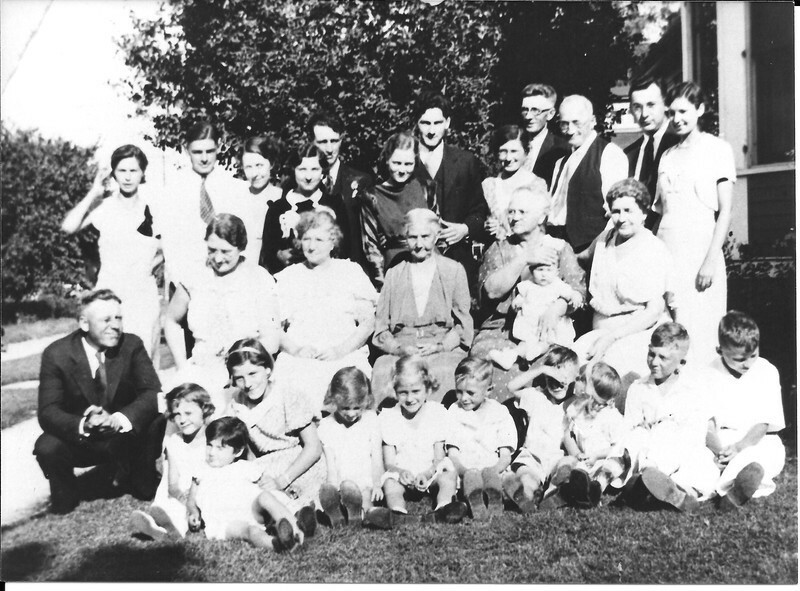 Back Row: ?, Fabian Heyrman, Leone Nackers, Florence-Tony Wellens, Alice-Francis Heyrman, Margaret-Albert Nackers, Grandpa Henry Heyrman, Ray-Eleanor Blahnik. Middle: Antone-Etheldreda Cleereman,?,Great Grandma Catherine HartjesToonen, Grandma Mary Toonen Heyrman holding ?, ? Front: Fabian's daughter,?,Mary Jane (Dolly) Heyrman, ?,?,?,?,?, Roland Nackers, ?